If your bleached or coloured hair has 'dyed' a death, this mighty mask will resurrect even the most stressed-out strands. Enriched with sunflower seed extract and micro wheat proteins, it not only hydrates and boosts elasticity, but also imparts sleek, shiny strength and enhances colour vibrancy. Available in two sizes, 200ml and 500ml, you can take this miracle worker whenever you go. Simply leave it on for 10-20 minutes for total RR&R – rest, recuperation and reincarnation. 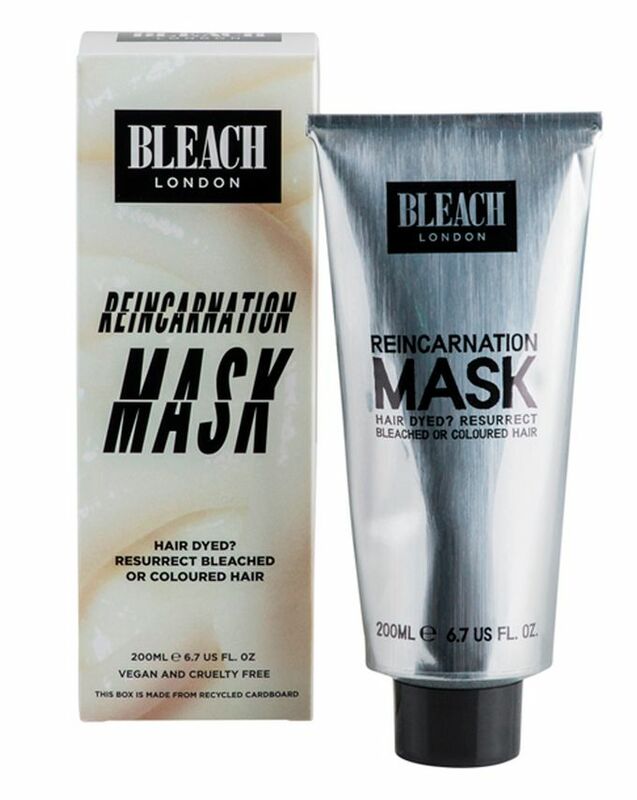 Don’t let colour kill your hair – resurrect strands and remain the best tressed with BLEACH London’s Reincarnation Mask. Magnificently moisturising, this intensive treatment is enriched with sunflower seed extract and micro wheat proteins to hydrate hair and boost elasticity, while also imparting enviable shine, strength and colour vibrancy. 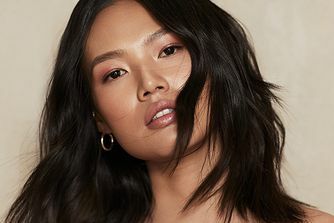 For a total treat, enhance the ultra-conditioning effect by wrapping hair in a warm towel and leaving this on for 10-20 minutes. 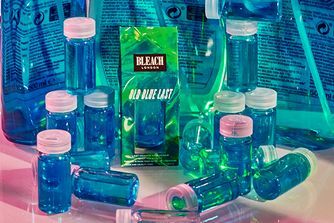 The formula is completely cruelty-free and vegan (like the entire BLEACH line, in fact) so you can comfort scalp, strands and conscience at once. Sublime. Great mask for a good price. Will definitely buy again. This conditioner does exactly what you want. My hair looks sooo healthy and unbelievably shiny! So glad I found this product. Do not hesitate to buy this! This product is unreal for coloured and processed hair. no frizz, no breakage AND my brush glides through my hair with ease! My hair looks healthy again! My hair has been bleached twice, it looks and feels so healthy after using this. This product is truly amazing and I am very impressed with the results. I've been dying my hair over and over and this really helped. Even now that I am back on my natural colour I still use it and adore it. it smells great, it's effective and the price/ratio is perfect. This is definitely one of the finds for me on Cult Beauty. This hair mask smells lovely and really works to revive my dry hair! ~I am going to buy this again and again. It's basically a superbly moisturising conditioner on steroids. Not loving this at all. It does nothing for my hair and works like a very normal conditioner at best. Won't be repurchasing. It's such an amazing mask (for its money), I love it! Highly recommend because I'm buying this mask again and again - it really works! I have been highlighting my hair for a while now and have found that this is the best mask to hydrate my dry ends. My hair is also very thick so not all products I have tried are effective for every layer of my hair. This product is by far the easiest mask to apply. For best results I find to apply and relax in the bath for half an hour so that the steam can help the mask work its magic. Will be buying this and only this from now on! 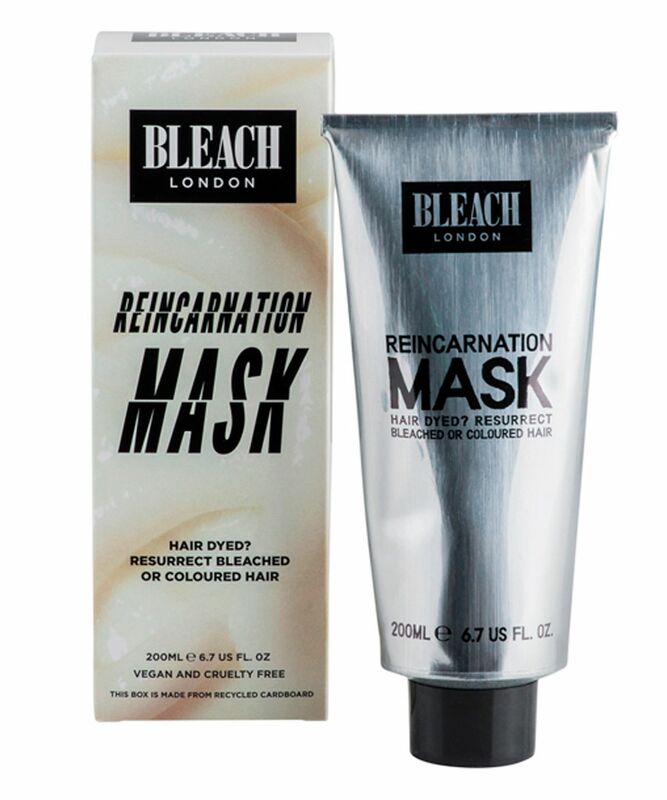 I've used many, MANY hair mask products over the years, and Bleach London's Reincarnation Mask is absolutely the best one I've used in recent years. My hair has been white, to dark brown and back to blonde again. The mask has helped keep my stressed out strands as healthy as possible! Incredible! This has been my go-to for quick fix hair revival. Super affordable and effective. I have regularly died hair that I heat treat more than I should. Since I started using this a few years ago my hair dresser continually comments on how much healthier my hair is than before. I only use it once every couple of weeks but a really great way to inject life back into dry broken hair. This is the best hair mask I've used on a budget. I can't compare it to anything mega expensive, but if your hair is dry and you just want it to feel soft but you can't spend loads, this is definitely something id recommend. Only works on the first time of use. Yes, makes hair soft and shiny but hair still breaks off. It's quite good. But as for me, it's a nice conditioner, but not a miracle mask. I couldn't comb through my hair after applying the product which is something I always look for in a hair mask. So I was sceptical I would see any results. However, It works as a nice mask but no better than other high street products I've tried. It's good value for money but don't expect it to do miracles. It gave my hair a glossier finish than usual conditioning but the quality of my hair remains the same even after using the product several times. I've been leaving this mask on my hair for the recommended time and on other occasions. Yes, my hair looks nice shiny afterwards & feels smooth. However I bought off the back of some pretty amazing reviews & I have to conclude its for me not as amazing as others have said. My hair is still breaking off where it always breaks off. This mask is just a really nice conditioner it's putting a gloss on the top. I'm looking for a nourishing from within kinda product. Always put off by long scary lists of ingredients which this product has. The search continues, no miracles here. This mask was truly great for my fine and dry hair. It's almost unbelievable how good it is considering the price. I really like this mask - makes my bleached hair soft, shiny and brings them back to life! This mask is so good. It left my treated, dry hair so soft and shiny and easy to comb, I was really positively surprised. I loved the smell too! I just love this SOOOO much! Have never tried a product that is as good, it is just amazing, and my hair is forever grateful! I'm onto my third tube, this mask is an absolute dry hair savior. It has definitely become one of my bathroom staples. Plus it's extremely reasonably priced considering the high quality. Love the way it smells and the cool packaging. I've basically destroyed my hair with all my colouring and recolouring; this conditioning treatment really helps with softening and smoothing it. It smells great and works well! Just make sure you're very thorough with your rinsing -- if you don't get all of the product out, your hair can feel a bit waxy. Can't stop looking at my hair! Not only does it smell nice (very subtle scent but I love it) but it makes my hair feel so smooth and it looks good even without combing! My hair came back to life. This is one of the best hair products I have ever bought. I purchased it for the very first time in the big tub thinking that if these reviews were true, the small tube wouldn't be enough - and of course, I was not let down by the CB community! It smells so yummy, quenches my dry hair, and is the only product I've used that hasn't left my hair stick straight after air drying it. It works so well for the price point, and I'm definitely going to come back to this once I finish my tub. It’s very good for my blond damaged hair. Love it! The best product I've ever used on my hair! It's incredible! YES. Finally a product I can give an unapologetic five stars to. I don't remember the last time I gave 5 stars to anything. I recently started putting blonde in my dark hair and it's dried it up so much, it gets very frizzy and looks super unhealthy. I saw the reviews for this hair mask and decided to give it a go - and I'm very glad I did. Even squeezing it onto your hands it feels very luxurious and it was a nice feeling to run it through my hair. I warmed a towel up, shampooed my hair and put the mask on (with the warm towel on top) for about 20 minutes. I immediately felt the difference when I was washing it out, it was so much smoother than it had previously been. I put some oil on it while it was damp and now it's dry it's unbelievable the change in it. People at work have now commented on how healthy my hair looks. I've used a few expensive hair masks but they can't touch this one - save your money and save your hair with this one. I bought it because of friend’s highly recommendation. Personally it’s a good treatment on a budget, soften your hairs. I keep re-buying it, I love it! I read the reviews here about how it works with curly frizzy hair (which I have). My hair has also been bleached and dyed every 3 months over the last 10 years. This mask is amazing. It tamed the frizziness and was soft to touch for a change. In my first use, I left it for 10mins in the shower. I use it twice a week. Best purchase ever. Thanks, ladies for the reviews which were super helpful! Absolutely love this product! I’ve only used it once so far and only kept it on 10 minutes whilst in the shower. My hair is curly, dry and VERY thick. I also have highlights so it’s not in the best condition and I struggle to find a hair mask that continues to keep my hair soft! This product is amazing, very thick consistency and smells great. My hair is the softest it’s ever been and so silky when I style it. I would 100% recommend buying this! I recently bleached my hair and it ended up looking and feeling like straw. After just one use my hair had drastically improved. Will definitely continue buying. Honestly, I didn't truly believe in this mask at first, but it totally works! I'm glad I've ordered it because it makes my damaged hair soft and silky. I love the result. Strongly recommend it! This mask has saved my bleach blonde hair. I've been using it for a year now as my daily conditioner and my hair has never looked so healthy. Honestly girls its a must have. I use this mask more than 3 months as a condition for couple minutes or like a mask, especially after sun and I love it! This product saved my hair. I have a curly, really dry and frizzy hair and I never thought I could see it this shiny and sleek. The smell is really nice as well and even though I sometimes like to use quite a lot of product, it never leaves my hair oily or sticky. Need to have this all the time! Personally, I like to use it as a conditioner which works wonders for my bleached hair, best hair mask out there! My favourite hair mask by far! I've bought this mask repeatedly and can't live without it. The mask is just good. It does what it has to do. I didn't really like its smell but it's not a big deal unless my hair feels wonderful after using this musk. Soft and moisturized hair is guaranteed.